When it comes to automotive maintenance and repair, motorists have no shortage of options from which to choose. Auto repair franchises and independently owned shops can be found in abundance in virtually any city or township. However, few of these establishments can compare to Meineke Car Care. If you’re currently in the market for a new automotive franchise, consider the perks of going with Meineke. Meineke can be your one-stop destination for all things auto-related. 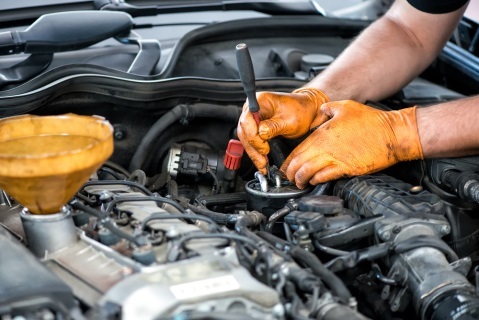 Each location’s skilled technicians are well-versed in everything from basic oil changes to heavy-duty repairs. Whereas many motorists have maintenance places, oil change places, and repair places, Meineke customers have all three in one convenient location. Because of the enormous costs associated with auto repair, many people dread bringing their vehicles in for diagnostics. Some motorists are even afraid to take their cars in for routine oil changes, reasoning that mechanics will identify pricey underlying issues. Fortunately, Meineke car repair centers offer an affordable alternative to exorbitantly expensive auto shops. No matter how strenuous the repair, you can expect to pay a price that’s well within your budget. No matter where they hail from, every Meineke franchise owner is dedicated to your satisfaction. If you have any questions about prices, company policies or automotive maintenance, don’t hesitate to ask. Furthermore, if you have any concerns regarding customer relations or are unhappy with the service you received, Meineke will do whatever it takes to make things right and ensure your continued patronage. When taking your vehicle in for repairs or maintenance, you want to know that it’s in good hands. Fully aware of how important your car is to you, Meineke consistently goes above and beyond the call of duty to provide the highest-quality service for the lowest possible prices.